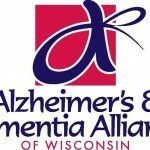 Tonight, the Wisconsin Alzheimer’s Disease Research Center presents “Searching for a Solution to Alzheimer’s Disease,” a free event sharing the latest research on Alzheimer’s disease, and information on how to become a savvier consumer of news about the condition. This is from 5 to 8:30pm at the Monona Terrace, 1 John Nolen Drive. For more info, visit adrc.wisc.edu. Union Bank and Trust Company is hosting free “How to Protect Your Identity” workshops this month to encourage people to make identity protection part of their regular routine and reduce their risk of identity theft. Workshops will be held in Brooklyn, New Glarus, Evansville, Belleville, and Oregon. For workshop dates, locations, and times, visit www.ub-t.com. The Center for Child and Family Well-being at the School of Human Ecology, UW-Madison is hosting the Youth On! Film Festival, November 7th to 9th, at 1300 Linden Drive. The event includes free, public screenings of films from around the world produced and submitted by youth under 19 years of age. More info at youthonfilmfestival.org.